Internet a la Carte A new study tries to put a dollar amount on free internet services... by looking at how much money it would take for people to give them up. A couple of months ago, Tim Harford traveled to China. TIM HARFORD: My family and I went on a holiday in mainland China. You guys say vacation, don't you? You don't say holiday. I'll say vacation. Tim is an economist and the author of the book "Fifty Things That Made The Modern Economy." And as he and his wife were mapping out their trip, he realized that he was going to have to do some extra planning for this one. HARFORD: Before we went, I had to wrestle with this really difficult problem which is the Great Firewall of China. There are some services that the Chinese government block. VANEK SMITH: The Great Firewall of China - so the Chinese government controls Internet in the country, and it restricts access to a lot of websites. So Tim started doing all this research to see which websites exactly he would not be able to access while he was there. HARFORD: Everything from Google - so that's Google Maps, Google Search, Gmail - that's a killer - and Facebook. And it got me thinking about the value of these services and how much I might miss them if they were gone. VANEK SMITH: This is THE INDICATOR. I'm Stacey Vanek Smith. GARCIA: And I'm Cardiff Garcia. Today on the show, what Internet services do we value most? Which ones would we miss when they're gone? And what does it mean for the Googles and Facebooks of the world? VANEK SMITH: So Tim Harford and his family went to China. And Tim had to figure out how he was going to get around and do a little bit of work and find things without a lot of the online tools he normally uses. And when Tim got back from his trip, he was still thinking about the value of these services to him. And of course he's an economist, so he started thinking about how to quantify that value. And then he came across this paper. HARFORD: By pure coincidence, almost immediately I got back there was a new research paper published by three economists - Erik Brynjolfsson, Felix Eggers, Avinash Gannamaneni. And they had been going around and asking people, how much are these services worth - the same questions I've been asking myself. GARCIA: These services are all free for users. The companies make money by showing us ads and then gathering data on us so they can brag to the advertisers about how important they are, how many eyeballs they have. So it's really hard to say how much we'd be willing to pay for Google Maps or Twitter because for us they've always been free. Even, like, five bucks a month can sound expensive. VANEK SMITH: So what these economists did was ask people how much they would have to be paid to have those services taken away. And then they used that to try and figure out how much we value these services. GARCIA: Six categories they looked at. Here they are - Internet search, social media, video streaming - things like YouTube and Netflix - email, online maps and e-commerce. And after surveying people about this, they were able to put a dollar amount on each service. HARFORD: Three hundred dollars. All social media. All social media - Instagram, Facebook, Snapchat, Twitter, everything - $300. HARFORD: You think about how much people pay for Amazon Prime. They've just taken the price up, haven't they? HARFORD: ...A year to compensate you for that - having to go to the store again. VANEK SMITH: Having to go to the store again - so '90s. GARCIA: I think you'd have to pay me more than that, to be honest. VANEK SMITH: So that is fifth place, and now fourth place. Our contenders - Internet search, video streaming, email and online maps. Cardiff, you have the envelope. GARCIA: So again, that's like Netflix, YouTube, Hulu. VANEK SMITH: (Laughter) What is the price we are willing to pay to keep cats in our lives? HARFORD: One thousand, one hundred and fifty dollars a year. VANEK SMITH: So to take cat videos and "Handmaid's Tale" and "Cobra Kai" out of our lives, you would have to pay the average person $1,150 per year. That is almost four times more than they'd need to give up social media. Cardiff, behold the power of the cat video. OK, so now the race is getting tight. There are only three contenders left - Internet search, online maps and email. VANEK SMITH: ...GPS and maps. HARFORD: Three thousand, five hundred dollars people would have to be paid to quit all digital maps - Apple Maps, Google Maps, the GPS, Way Finders, all of those things. GARCIA: Thirty-five hundred dollars a year - not bad. Not having to stop at the gas station to ask for directions worth nearly three times more to us than video streaming and more than 10 times social media. GARCIA: I don't know these answers. VANEK SMITH: ...How it shook out. GARCIA: I would guess email. VANEK SMITH: ...In second place? GARCIA: I would guess - oh, in second place - I would guess Internet search in second place. VANEK SMITH: You are wrong. VANEK SMITH: In second place was email. VANEK SMITH: And can you guess how much people said they would need to be paid in order to give up email for a year? VANEK SMITH: Eight thousand, five hundred dollars. GARCIA: Pretty close. Pretty close. VANEK SMITH: The average person would have to be paid $8,500 to abandon email for a year. Which brings us to in first place, the Internet service that we value the most - Internet search - your Googles, your Safaris, your Bings, your Ask Jeeves. I think Ask Jeeves is not around anymore. Do you remember Ask Jeeves? GARCIA: I don't know. I don't know. VANEK SMITH: Did you ever ask Jeeves? GARCIA: I've never used it. VANEK SMITH: That was a fringy sort of thing for a while. Anyway, these were the most valuable services to us. OK. So, Cardiff, keeping in mind $8,500 to give up email, can you guess how much you would have to pay the average person to give up Internet search for one year? GARCIA: And I know it's going to be - that's a tough question, actually. I would guess, then, that if for email it was almost $9,000 and this is more, $20,000. VANEK SMITH: Would you pay that for Internet search? HARFORD: I mean, I probably would. I mean, that's a lot of money. But I think in all honesty, it's an essential tool for me to do my job. I use it constantly. And I guess I probably would pay. VANEK SMITH: So from $300 to give up social media to, like, more than $17,000 to give up Internet search, this is the - sort of the range, the value chain for people. And as Tim was thinking about this and kind of looking over this study, this sort of interesting thing occurred to him. HARFORD: It's saying that access to Internet search is worth maybe 50 times access to social media. And access to email is worth maybe 20 times, 25 times access to social media. But when you look at the companies that provide email and Internet search, I mean, they're basically Alphabet, which is Google's parent, Apple, Microsoft. They're the big ones. They are not worth 50 times what Facebook's worth. They're worth - they're each worth about twice what Facebook's worth very roughly. VANEK SMITH: So this is a really interesting disconnect. And Tim thought that part of it might be sort of a competition thing. So a service like Google has a lot of market power, but everyone could just switch over to another service in a heartbeat, like, in two seconds. So Google has to stay sharp. But Facebook is trickier because your whole social network is on Facebook. And even if there's a new social network that you think you'd like more, you would have to start from scratch. And you might lose connections if your friends didn't all switch over. So even if you don't love Facebook, you stick around because it's a lot of trouble to switch. GARCIA: But it's also possible that we value certain things more or less than we think we value them, right? I mean, it's easy to say, sure, yeah, I'll give up social media for 300 bucks. But what if, like, two or three weeks in you start to think, well, actually, you can have your 300 bucks back; I want that social media because I get more out of it than I realized? VANEK SMITH: Also, as Tim points out, we are not actually the customers for these services anyway. We are the products. The real customers here are the advertisers. And what really matters to these companies is not in fact how much we value them. It is how much advertisers value them. And we - we're just like a data point in that equation. GARCIA: This podcast is produced by Darius Rafieyan. And a quick final word to our listeners - we did round some of these numbers off a little bit. So for instance, to give up social media people would have to be paid $322. We rounded that to 300. We did that with the other ones. 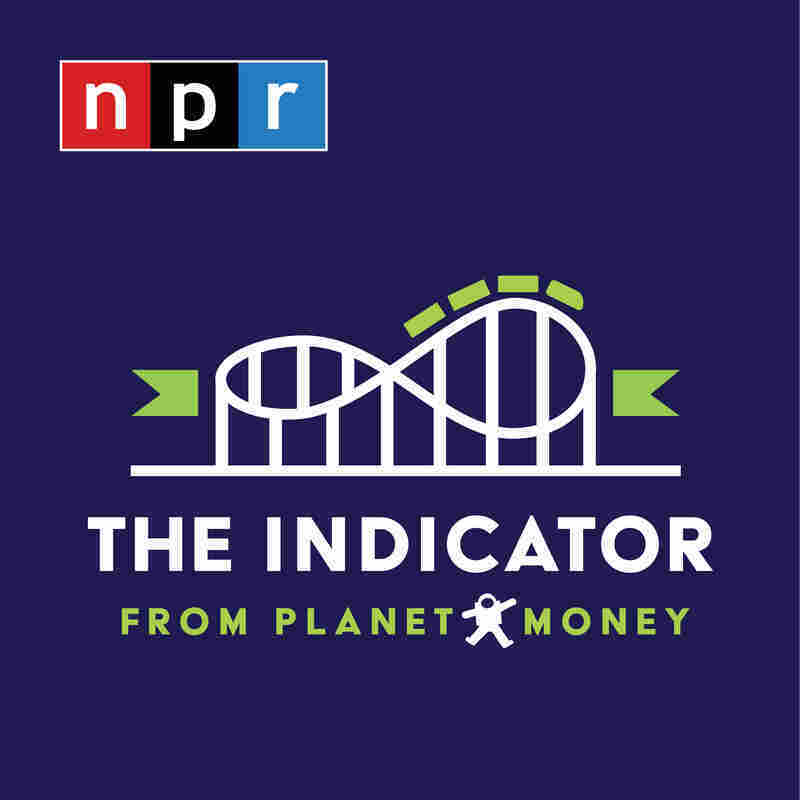 If you want to see the precise numbers, we're going to put a link to the paper at npr.org/money.